"We have come to tell the truth and we have told the truth. We have heard the accused refuse to accept what they have done, but we ask ourselves, then, where are our husbands? " 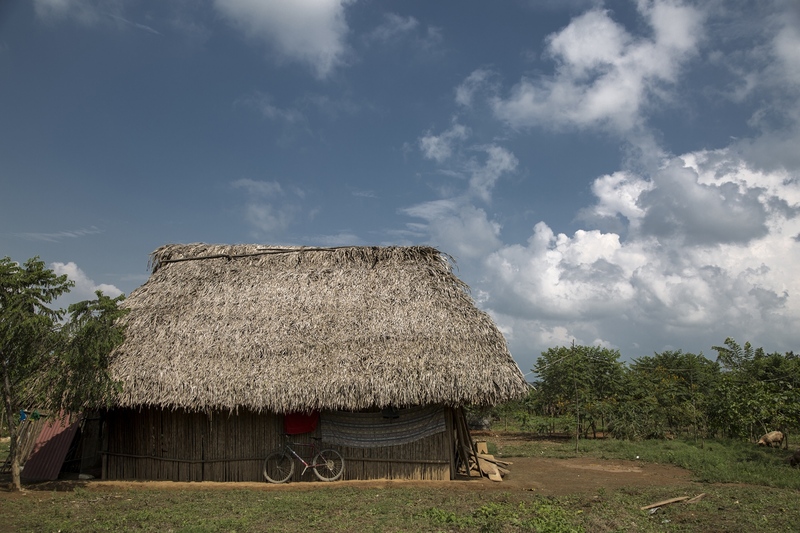 At the beginning of the 80s, the population of Sepur Zarco, of Q'eqchi 'Mayan ethnicity and the farmers of the area, had been in dispute over the ownership of the land in which the Q'eqchies lived for decades. 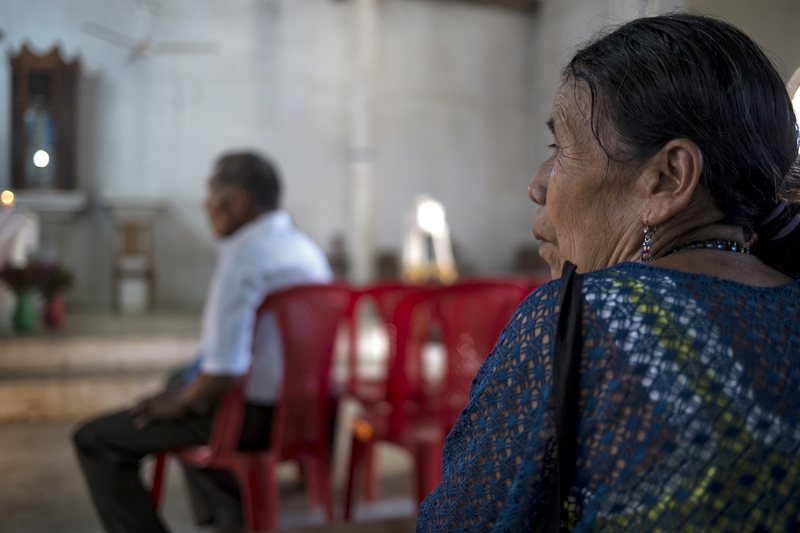 In 1982, during the armed conflict (which left a balance of 45,000 victims of forced disappearance at the national level), the Guatemalan army kidnapped and disappeared several leaders of the land committee who were processing the legalization of the land. 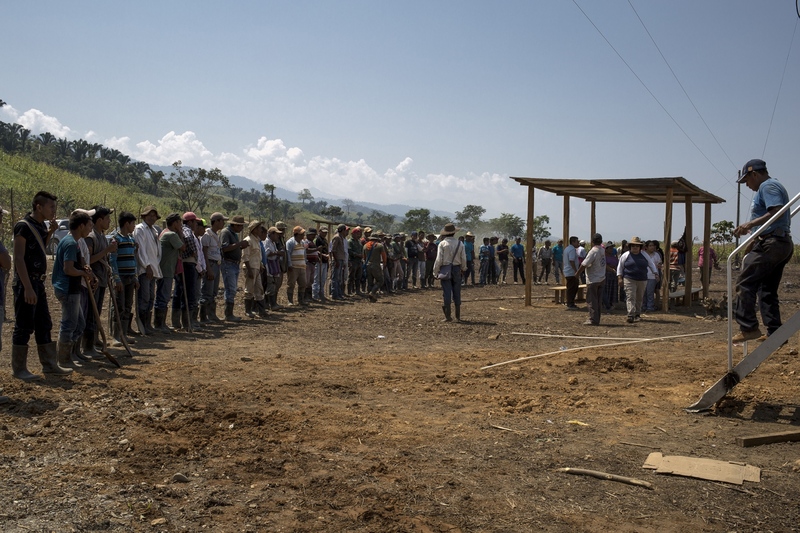 Soon after, a military detachment was installed in the community. Several women approached the army to ask for information about their missing husbands. Since the husbands were missing, the women were considered "single women" and therefore "available". For up to six years they were forced to take turns every three days to wash the uniforms of the soldiers and prepare their food. In each shift they were subjected to constant violations and sexual slavery. 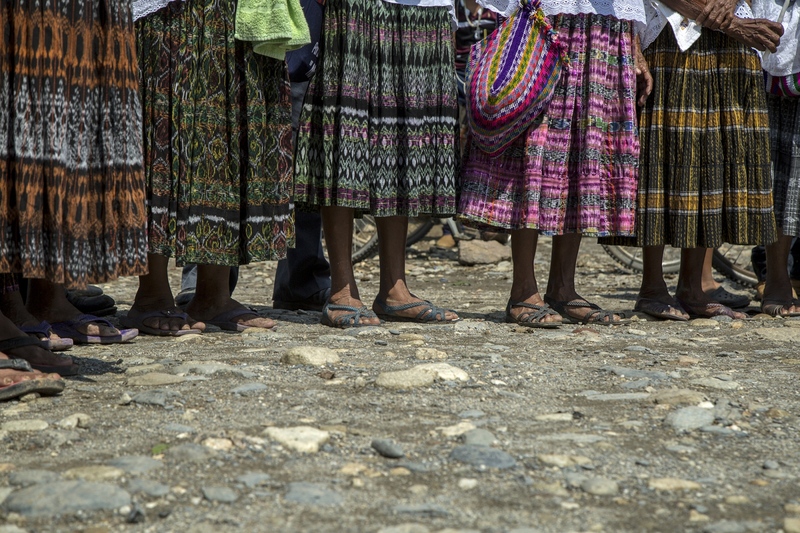 After more than a decade of work together with several NGOs Jalok U, a collective formed by 15 of the victims of Sepur Zarco, all women, reached a unique achievement: two of those responsible for the events were found guilty of crimes against humanity in their form of violence sexual, and humiliating and degrading treatment to ethnic Q'eqchi 'women. The sentences were between 120 and 240 years in prison. This is the first time a national court condemns sexual slavery as a war crime. Before starting the path to justice, pain, fear and shame prevented the members of Jalok U from sharing their experiences from the armed conflict, especially the sexual violence. With the psychosocial support of the organizations and other survivors they reached the point that, after the condemnatory trial, they speak in public of their experiences. They share them to prevent their recurrence in the future. Having learned to speak openly helped them to suffer less emotional pain today. 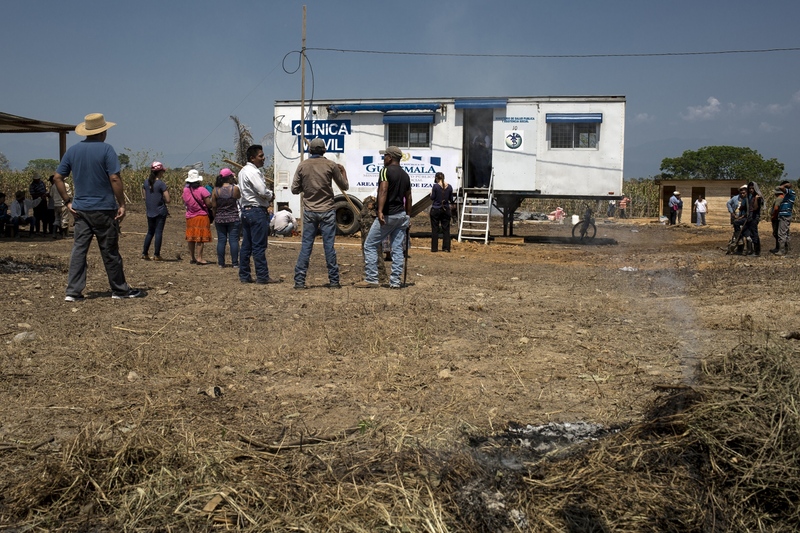 The women say that since the arrival of the mobile health post on the anniversary of the sentence (the first step towards compliance with the measures of reparation established with the sentence) they feel respected in the community and see that their struggle begins to give results. "I'm going to die in peace. I will leave a precedent to my daughters and to other women: that of not shutting up the atrocities. " 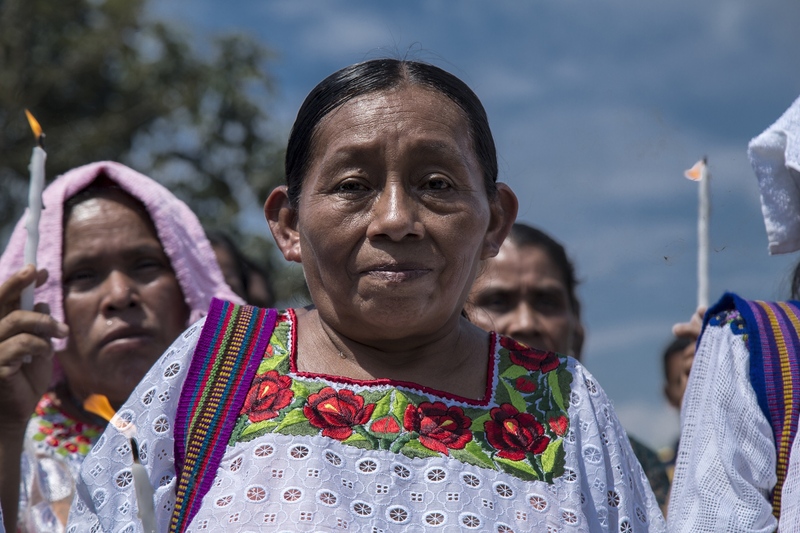 The "grandmothers of Sepur Zarco", as they are called, are now references for their communities and for women internationally. By putting words to sexual violence and winning a trial, they have opened the way to denouncing sexual violence committed both during the armed conflict and today. 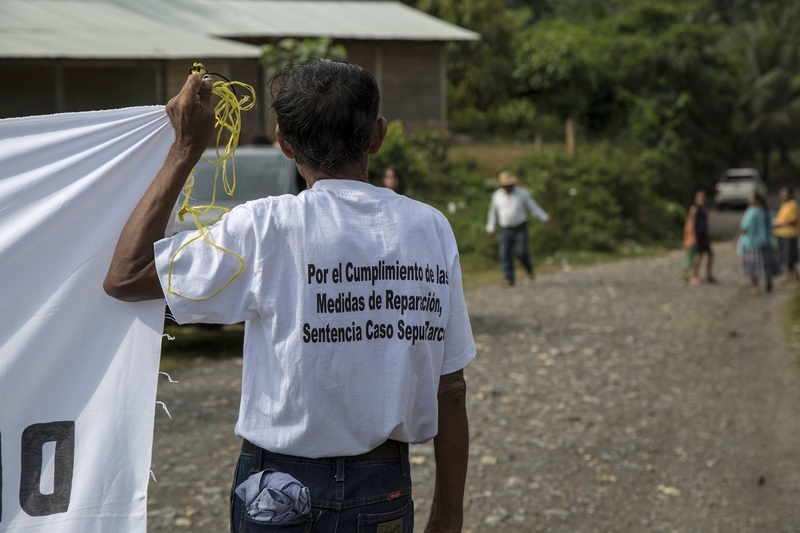 On the anniversary of the sentence of the Sepur Zarco case, a mobile health post is opened. 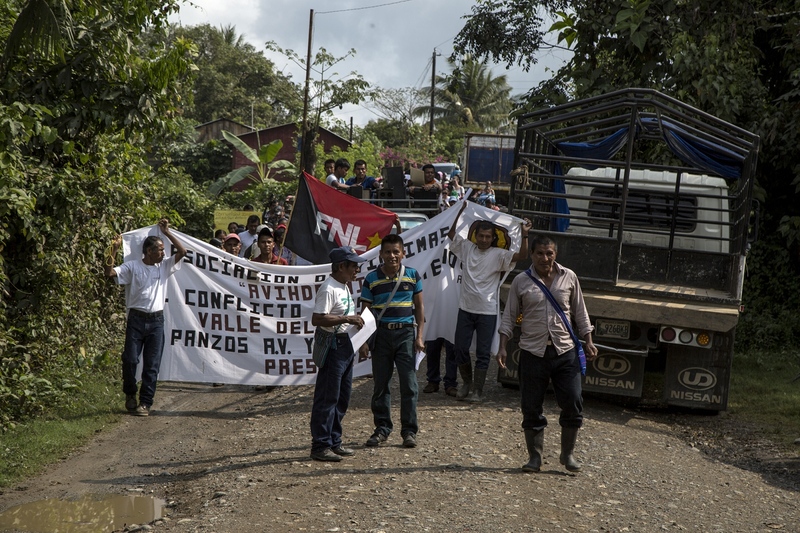 Plans are being prepared for the construction of a permanent health center, but there is a lack of legal certainty as to who owns the land of Sepur Zarco and therefore it is necessary to formalize the papers before it is possible to get to work. Men from several villages have helped to prepare the ground and install water and toilets. At the end of the work, they line up and pray together. The next day the health post will be opened officially. Demecia Yat listens to the mass being held to honor the women taking part of the legal process. 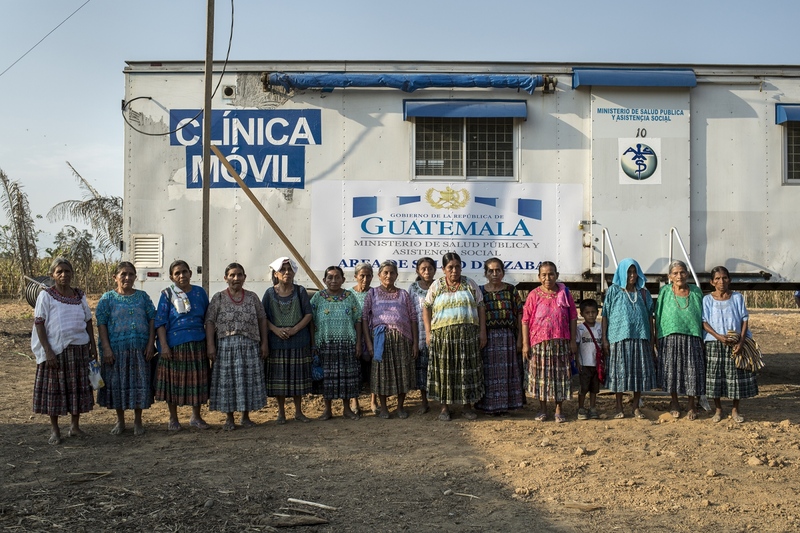 The day before the inauguration, the women in the case of Sepur Zarco come to see the mobile health post and pose in front of it. 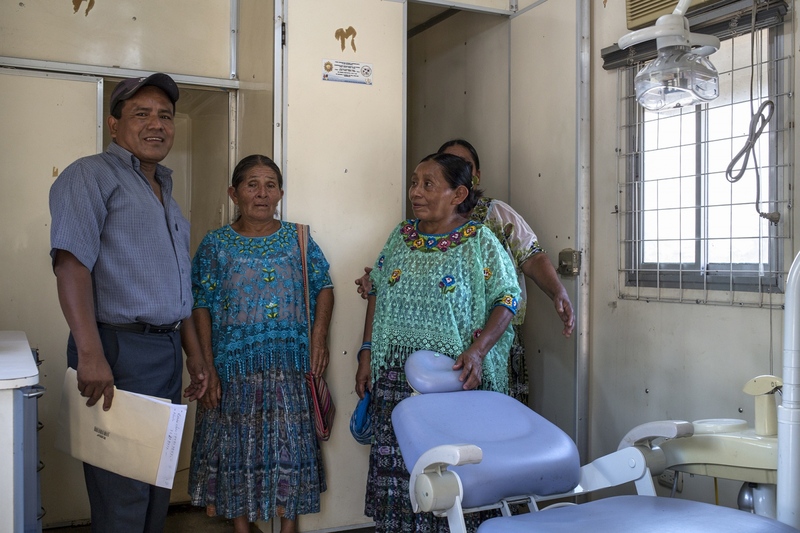 A representative of the Ministry of Health gives a guided tour of the mobile health post to the women the day before the inauguration. Due to land tenure disputes in the area, many families live in large monoculture farms with limited access to basic services. The women meet in “Titanic” (a construction that crosses a stream and is shaped like a boat) to review the protocol for the anniversary of the sentence the next day. There will be a march to demand compliance with the reparation measures that were handed down with the sentence. 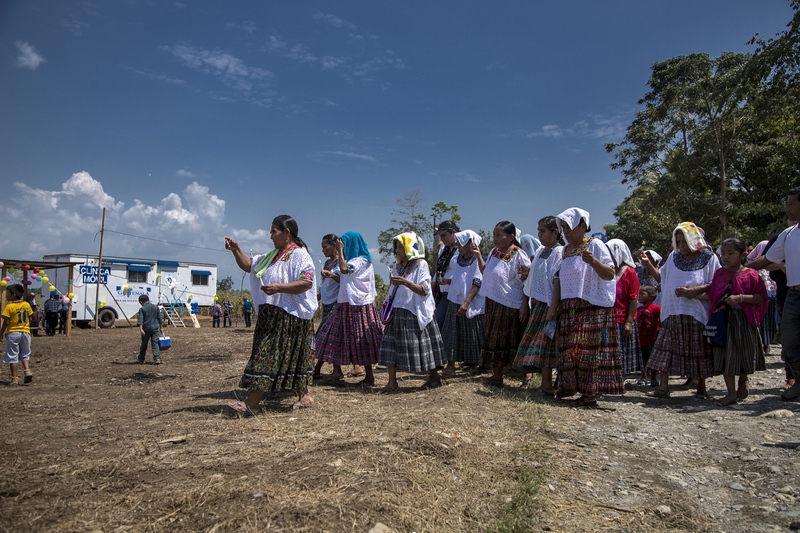 The march will end with the inauguration of the mobile health post and a community meal. 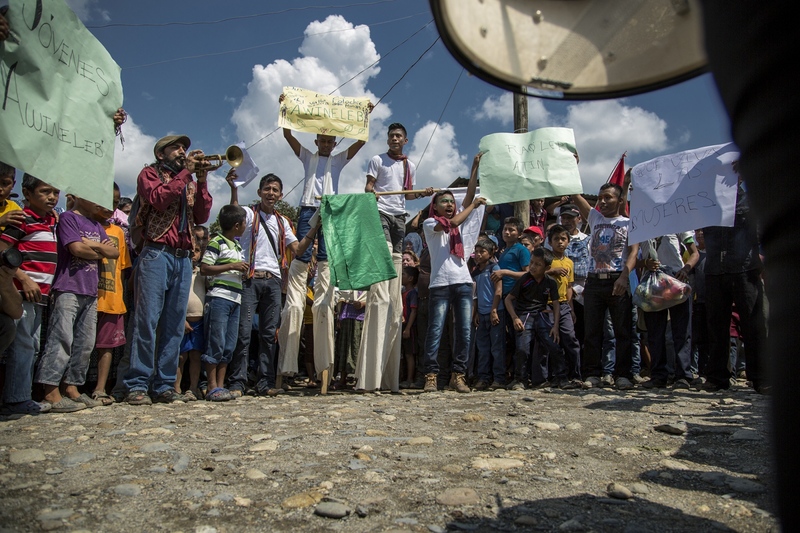 After a heavy rain, people from the communities are preparing to start the march on the anniversary day of the entence of the Sepur Zarco case. The course of the march was about 5 kilometers. 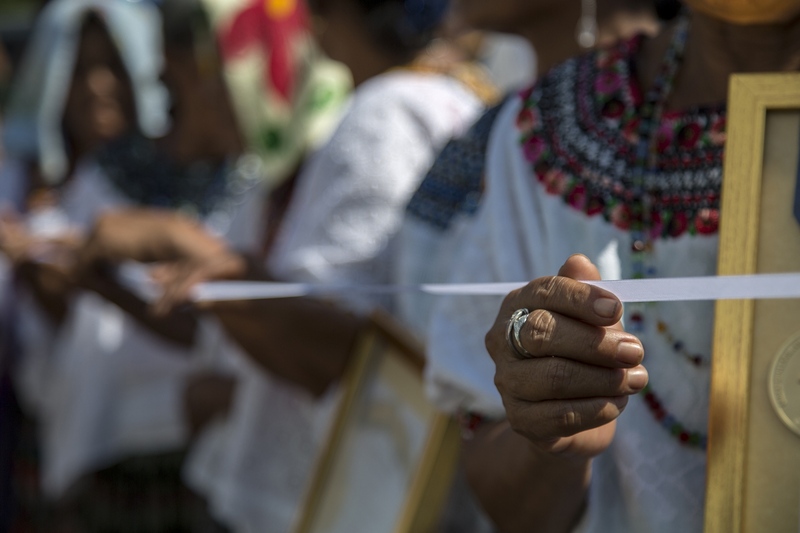 The women receive the march with candles and white huipiles (blouses) in the place where the military base was formerly located. 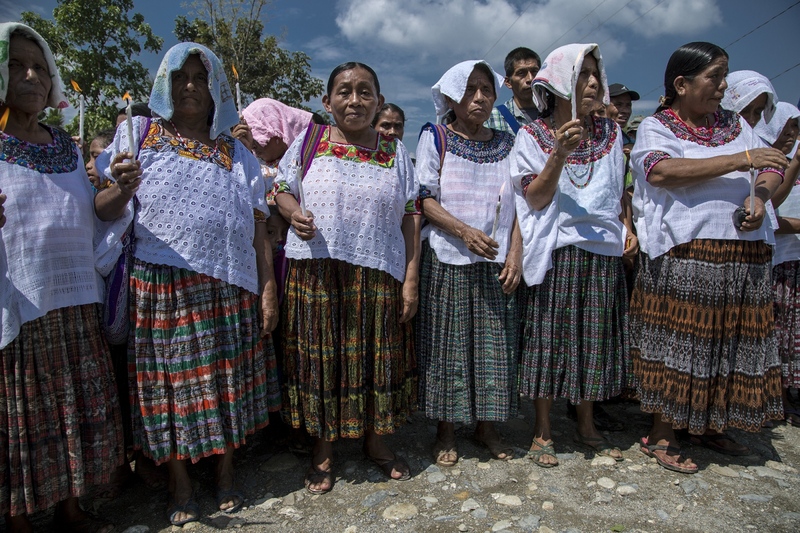 Several of the women are elderly and it was decided that they should wait for the march in Sepur Zarco and join in for the last part only, instead of walking from the neigbouring village 5 kilometers away. 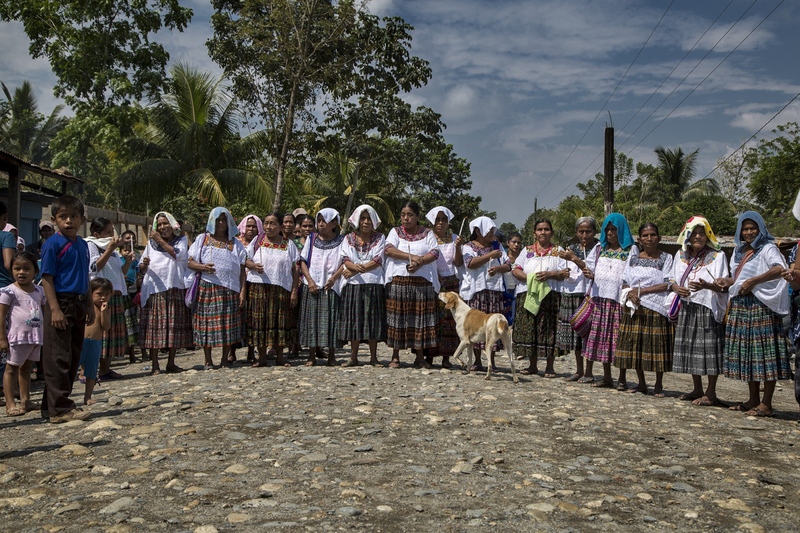 Each of the "Abuelas" were called by their name and recognized in front of the village members. 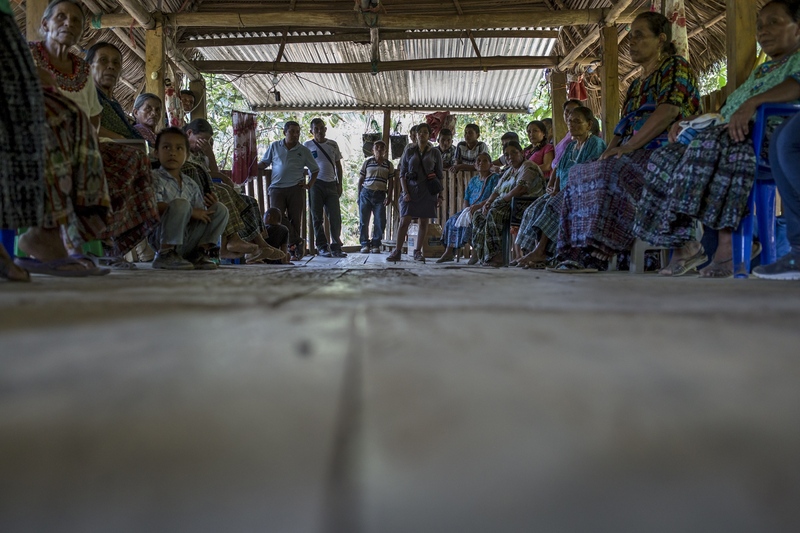 In order to recognize the courage of women in their long journey in Guatemala's legal system, and to ensure that the sentence will not be forgotten, there have been a number of awareness-raising workshops with the youth of the community. On the day of the march, the women are celebrated with a show of juggling and dancing at the point where the military base used to be located. 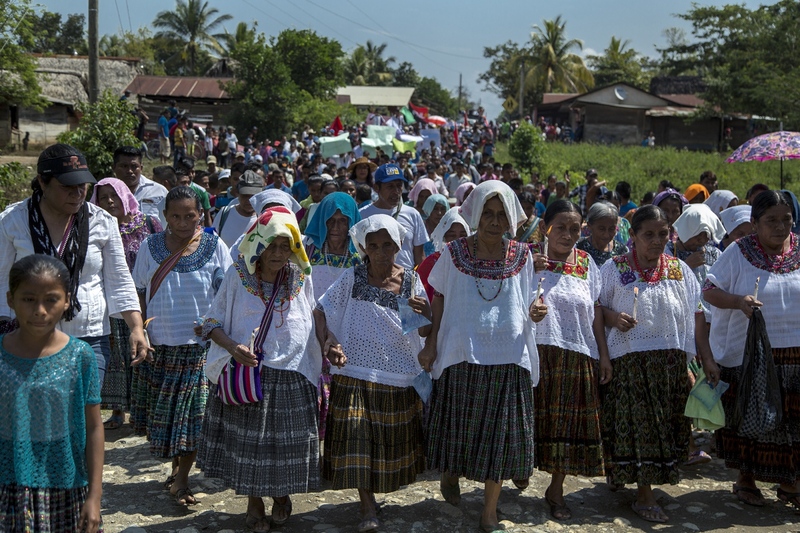 The march, led by the women, enters the center of the community of Sepur Zarco. 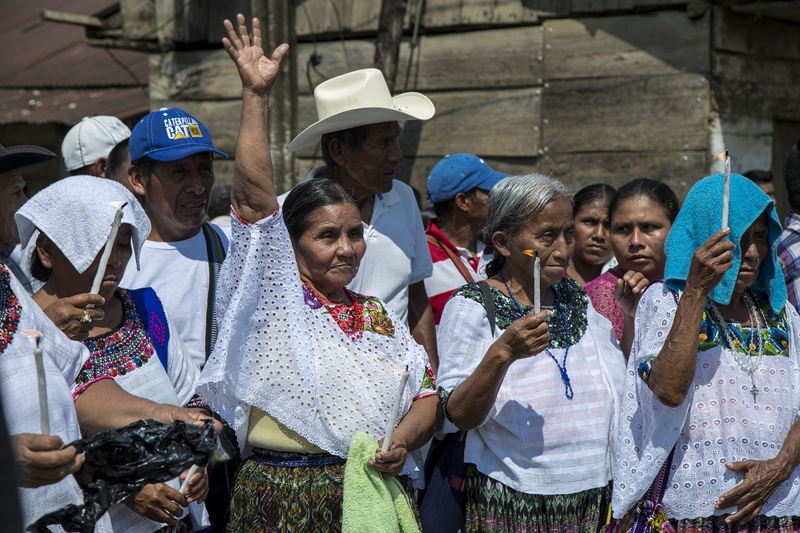 One of the "Abuelas de Sepur Zarco" holds a candle at the march celebrating the first anniversary of the sentence of the the Sepur Zarco case. The march reaches the field of the mobile health post. 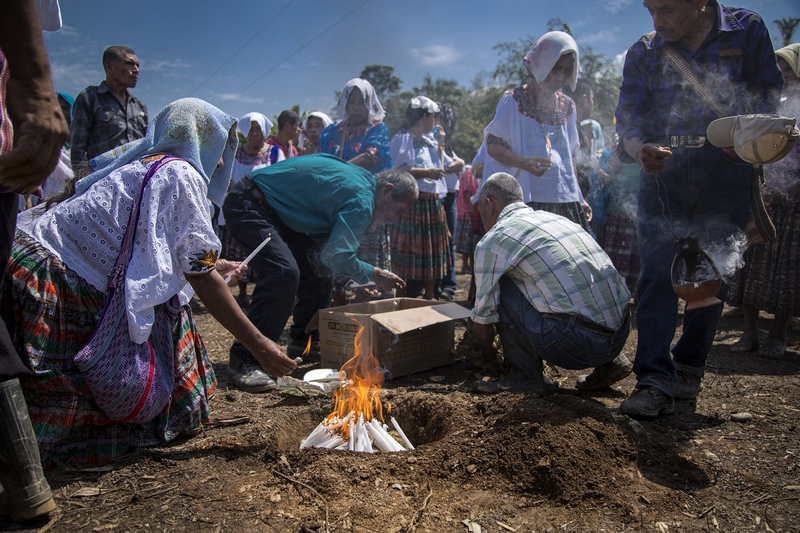 At every step of the process, the Mayan ceremony has been key to the union between women and to inspire courage to move forward. 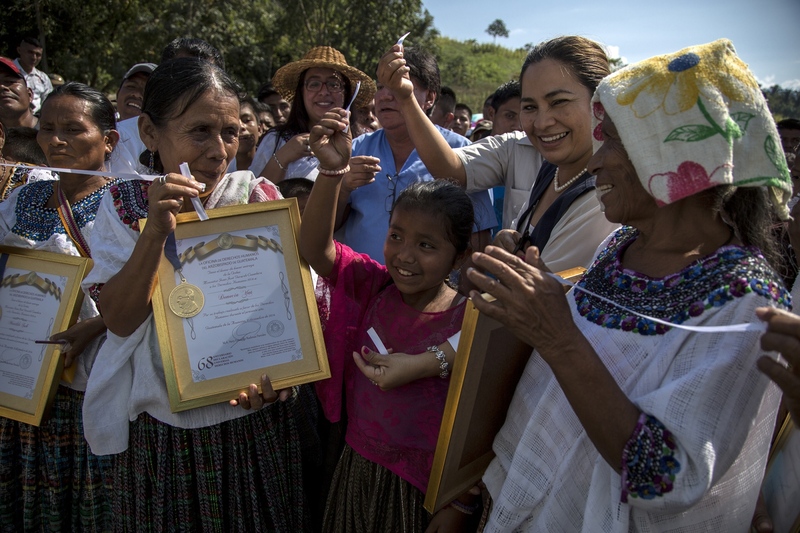 Demecia Yat and the other women hold the ribbon that will be cut to inaugurate Sepur Zarco's mobile health post. A representative of the Ministry of Health inaugurated the mobile health post, along with the women and legal support organizations. 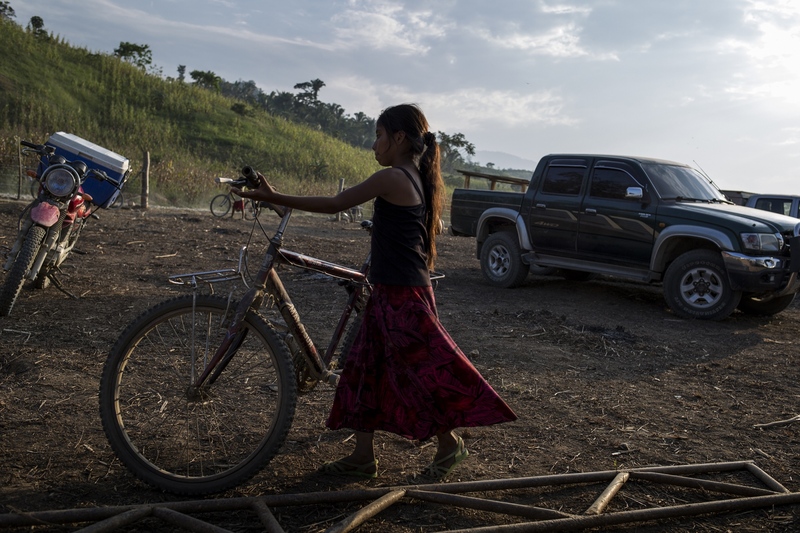 Sexual violence was used as an institutionalized warfare tool during the internal armed conflict in Guatemala. Thousands of women were victims. 89% of them were indigenous, according to the Commission for Historical Clarification (CEH).